The Insurance Institute for Highway Safety has begun a new testing regiment for vehicle headlight effectiveness with surprising results. 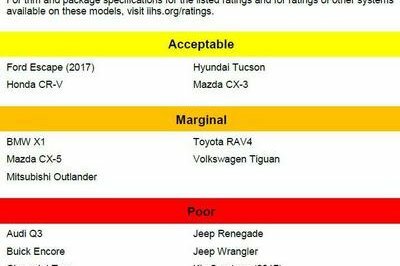 The IIHS found that 12 of 21 small crossover models earned a “poor” rating, despite each being equipped with their respective best-available headlights. Brumbelow is right about automakers making quick improvements. The IIHS is including headlight ratings within next years’ Top Safety Pick+ criteria – a coveted award often at the top of shoppers’ lists. Not all crossovers failed so miserably. Five crossover models scored a “marginal” and four scored an “acceptable” rating, the highest available. The four passing crossovers are the 2017 Ford Escape, the 2016 Hyundai Tucson, the 2016 Honda CR-V, and the 2016 Mazda CX-3. Interestingly enough, the National Highway Traffic Safety Administration already has headlight standards. The IIHS, however, says the regulations fail to completely gauge real-world performance. These new standards developed by the IIHS supposedly do a better job at accounting for real-world conditions. Testing concluded many headlights are poorly aimed by automakers. This bad aiming creates glare problems for oncoming traffic while wasting light. Not only does the IIHS’ testing standards look for good aiming, the criteria awards points for automatic high-beam assist. The IIHS is expanding its headlights testing for next year to include pickup trucks as well. Headlights are a critical safety measure on vehicles for obvious reasons, yet are often overlooked when it comes time to purchase a new vehicle. The IIHS’ new testing regiment is honorable, to say the least. 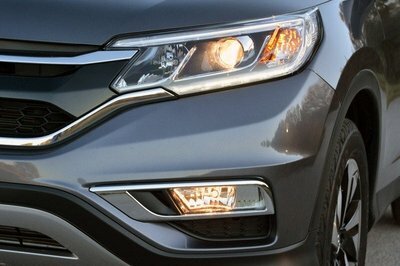 Hopefully automakers will pay closer attention to developing headlights that not only look good, but that also work properly. The advent of HID and LED technology has made headlights brighter than ever, yet some vehicles we’ve tester here at TopSpeed have had terrible distance and road coverage with low-beam lights. This leads to easily over-driving of the lights, increasing the potential for an accident. High-beam lights eliminate the over-driving problem, but can only be used when oncoming traffic is absent.